Walt Disney World has made its first announcement of the narrators scheduled to appear at this year’s Candlelight Processional at Epcot. The Candlelight Processional at Epcot is a highlight of the holidays in Orlando, and this is the full list of the narrators for the 2017 shows, which start November 24 and run through December 30. 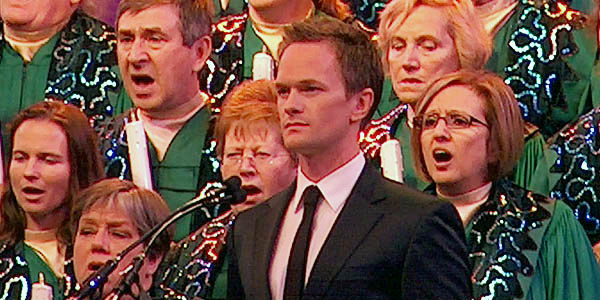 A part of Disney’s Holidays Around the World celebration, the Candlelight Processional is a nightly dramatic re-telling of the Christmas story with celebrity narrators, and a mass choir singing traditional and contemporary Christmas songs with the symphonic strains of the Walt Disney World orchestra. The Candlelight Processional at Epcot is a highlight of the holidays in Orlando, and this is the full list of the narrators for the 2016 shows, which start November 25 and run through December 30.